The SG2K Stackable Guest Chair has a unique glide/caster combination that allows for both mobility and stability in the same great chair. In addition to that, a cushioned waterfall seat and perforated back design combine for a modern look on this comfortable chair. 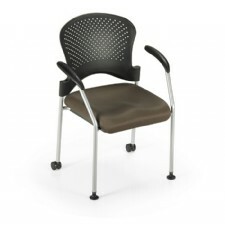 The Office Master SG3B Stacking Guest Chair is available in hundreds of fabrics. For pricing and choices of other fabrics please contact us. Monitors and display settings vary widely between computers. As a result, all fabric colors shown here are approximate and subject to variance from the actual color on physical chairs. For more accurate ideas of color tones, etc. please contact your favorite Office Master representative to obtain a sample or fabric swatch. The manufacture of Office Master office furniture is conducted under the highest industry standards with careful attention to detail and individual inspection of each and every unit. 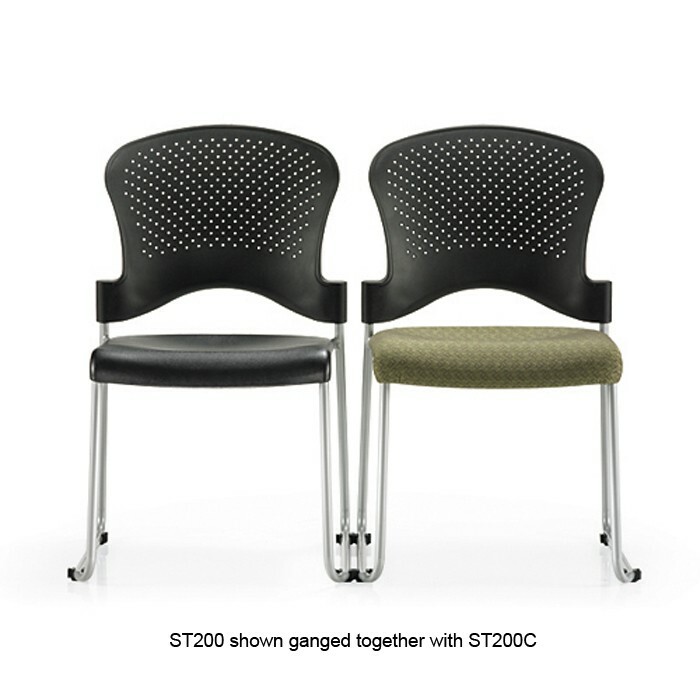 All chair frames, including metal, gas cylinders, wood and plastic parts, and control handles are guaranteed against structural failure for 7-year or 12-year warranties under normal commercial use and to the first purchaser. 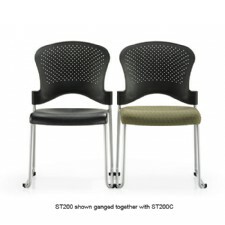 Casters and Office Master in-stock upholstery items have a 2-year commercial use warranty. COM/COL and graded-in fabrics are not covered under Office Master warranties. Standard commercial use is defined as the proper usage for one single shift, a total of 40 hours or less per week and by persons weighing 250 lbs. or less, unless otherwise specified by Office Master. Should any item fail, please return product to the Dealer from whom it was purchased. The Dealer will send the defective part to the Manufacturer, freight prepaid. The Manufacturer will repair or replace the defective part and return it to the Dealer, freight prepaid. Please request written authorization for returning defective parts to Manufacturer. Returned defective parts will NOT be accepted without prior written authorization. This warranty does not apply to items subjected to abuse, misuse, neglect, alteration, or damage caused by shipment, storage, accident, fire, flood, or act of God.